Applicants with previous experience in these skill areas would be preferred. Call Canadian Stucco today at 416-5-STUCCO or 416-578-8226 or provide a copy of your resume by e-mail to info@canadianstucco.ca. While most employers recommend apprenticeships as the best way to learn plastering and restoration, people can also acquire these skills by working as assistants for experienced restorers, plasterers, and stucco masons. In a classroom setting, apprentices begin with a history of the trade and the industry. 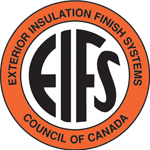 They learn about different types of exterior insulation and finish systems (EIFS). They also study the uses of plaster and concrete, the casting of ornamental plaster designs and mouldings, and how to estimate quantities of materials and their related costs. Those who learn the trade informally as helpers usually start by carrying materials, setting up scaffolds, mixing plaster, installing Styrofoam, rasping, chipping concrete, and painting. Later, they learn to install swing stages, apply the basecoat and finish coat, and install concrete forming and railings. On the actual job site, assistants learn about plaster mixes, methods of plastering, blueprint reading, and safety. They also learn how to use various tools, such as hand and powered trowels, floats, brushes, straightedges, power tools, plaster-mixing machines, and piston-type pumps. To be on an active job site, every person must be specifically trained to safely use all equipment, tools, materials, weights, objects, and any personal protection devices needed for their specific tasks. People learn best by being shown then doing it themselves. Applicants for apprenticeships or an assistant’s role must be at least 18 years old, in good physical condition, and have good manual dexterity. Applicants with the minimum of a high school diploma are preferred. Courses in general mathematics, mechanical drawing, and industrial arts will provide a useful background. 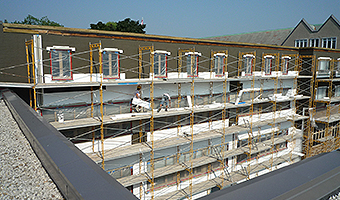 With additional training and experience, plasterers and stucco masons can advance to the positions of supervisor, superintendent, or estimator. 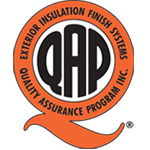 Many of our employees become self-employed contractors, while others become building inspectors. 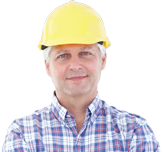 Join the CANADIAN STUCCO team today and begin to build a successful career!